Storage, Extension or Shed Container Spray Foam Insulation. Whether its a Shipping Container Insulation or Garden Storage Shed Container. Supreme spray foam has you covered. Years of experience has taught us that containers should be insulated. 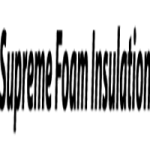 Any potentially affected can be extreme be it temperature or sharp movements. Battling effects of condensation and dampness within a container is also a concern. 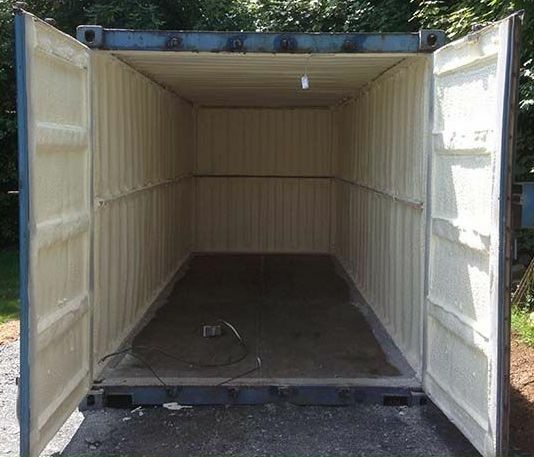 Spray foam is also ideal when applied to containers which house their own cooling or freezing units which keep the contents such as meats and vegetables from perishing. Actually, all products that you find in the frozen and refrigerated isles of your local supermarket have been transported by similar means. Some containers can be used as shipping containers which are also being used for other purposes. Which include, complete homes, schools, storage units, cafes, offices on building sites, kiosks, urban toilets, workshops and garages. There are no gaps between the insulation and the container’s wall which further enhances the insulating of spray foam. There is no need to erect wooden framing or a support system to keep the insulation in place – foam sticks directly to the walls and ceiling of the storage container. It can be sprayed as thin or as thick as you need or is required to suit whatever is being stored or transported. Spray foam also covers all surfaces of a containers including walls, ceiling and floor. The floor can also be Insulated by framing it out with your choice of materials, applying the foam. Cutting away any excess foam, and then you can cover it with your choice of materials. Spray foam has also amazing Soundproof Systems for your work shed.